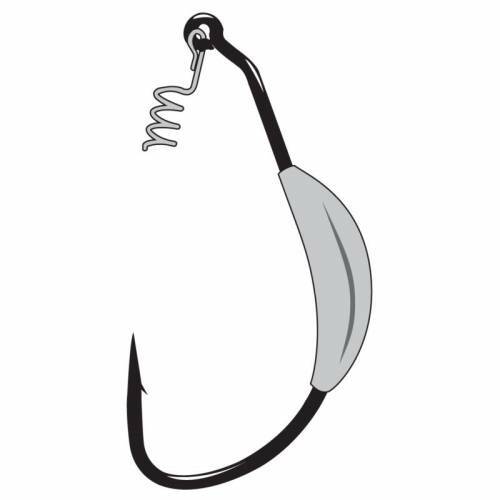 Gamakatsu Superline Weighted Spring Lock Worm Hooks - 5/0-3/16oz Loose Pack. The perfect hook for paddle tail swim baits, featuring a spring lock with a 28 degree eye and stress-relieved stainless steel spring to stay locked and secure. A strategically placed weight helps keep your bait tracking at any depth. Black. Size 5/0. 3/16oz. Loose Pack of 4. Assorted sizes available.